Keyston Bros Leadership Team Keyston Bros.
is president and CEO of Keyston Bros. He has been with the company since it was acquired in 2001 and brings a wealth of hands-on industry experience and expertise to the organization.Dee travels the world in behalf of Keyston Bros. to personally source vinyl, fabric and textiles in order to engineer unique products that meet the demands of customers in the various markets served. He brings high level executive experience as both a wholesale distributor and vinyl-coated manufacturer. Prior to acquiring Keyston Bros., Dee served many years as senior vice president of sales and marketing with Peachtree Fabrics, and later as national sales manager for Spradling International. Dee is actively engaged in the business. He has served three terms as president of the South Eastern Fabric Group, is a five year member of the board of directors for the Automotive Aftermarket Industry Association, and is currently the President of the National Association of Decorative Fabric Distributors. He is based in Roswell, GA at corporate headquarters. is Senior Vice President and Director of Human Resources. Based in Roswell, GA, she has been with the company since 2001 and oversees all human resources initiatives, as well as employee benefits and insurance programs. Ann is also a 30-year member of the Society of Human Resource Management. is Senior Vice President of Finance. She has been with Keyston Bros. since 2005. She is responsible for managing the financial risks of the company and oversees the corporate accounting department in Roswell, GA.
is Senior Vice President of Information Technology and has been with Keyston Bros. since 1993. Rupi oversees all areas of technology including communications, network, and systems operations, with direct responsibility of field operations nationally. is the National Sales Manager for Keyston Outdoor (Awning and Marine Division). He joined Keyston in November 2010 and is responsible for over-seeing the Keyston Outdoor team and its products. Dennis is currently serving on the IFAI board and has served as MFA chairman. Dennis has been involved in the fabrics industry for over 33 years. is Vice President and Regional Manager for the Southwest U.S. and has been with Keyston Bros since 1984. He started his career in San Diego, CA then moved to Anaheim, CA to become a sales representative. 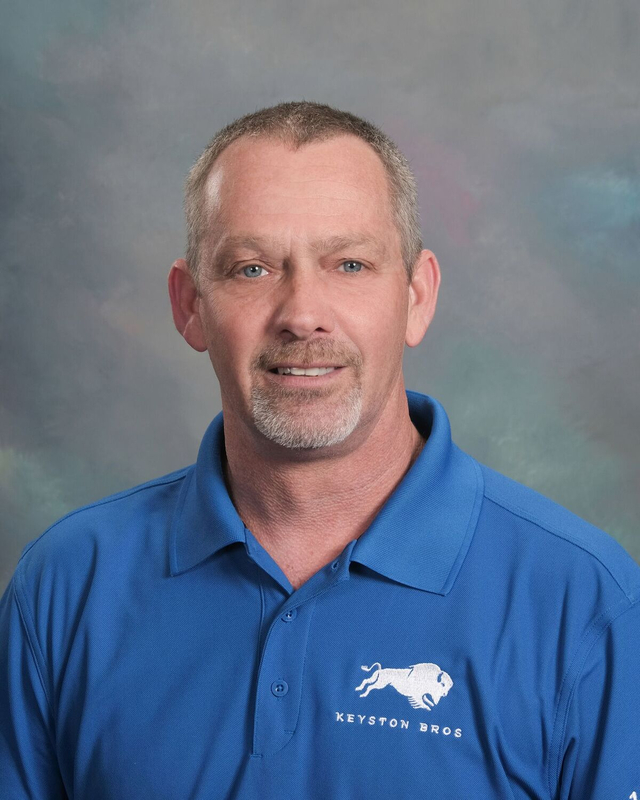 Greg has been with the company for 27 years and won the “Top Gun” Salesman of the Year award in 1999, as well as the “President’s Award” in 2003 for largest sales increase and largest sales volume. He most recently won the MVP award for Keyston Bros. in 2017. He assumed the RM position in 2011 overseeing the 8 locations of Phoenix, Ontario, Fresno, San Diego, Anaheim, San Francisco, Sacramento and Salt Lake City. John Harvey is Vice President of Analytics and Operations as well as a Regional Manager of Keyston’s Seattle sales operations. He oversees sales, inventory, operations and customer service for these three branches. John joined the Keyston Team in 1983 as a warehouse employee, and has been promoted to Sales Rep, Branch Manager and Regional Manager throughout his career. 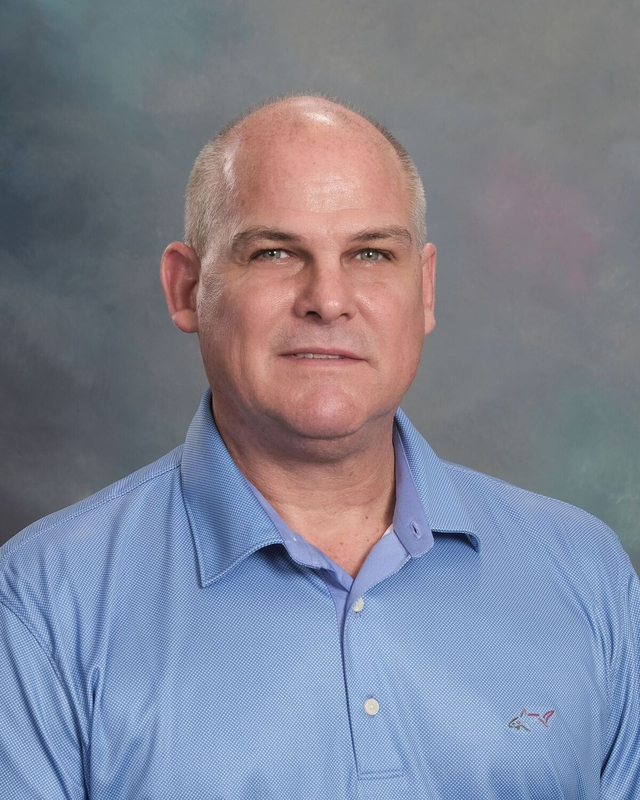 He won the coveted “Manager of the Year” award in 2007 and had a major hand in establishing our new computer system in 2012.
is Vice President and Regional Manager for the Southeast U.S. and has been with Keyston Bros since 1984. He started his career in Raleigh, NC where he worked as a sales representative for 18 years before being promoted to the branch manager in Atlanta, GA. His strong background in automotive and marine products helps him oversee the operations and sales management in his four warehouse locations: Atlanta, Raleigh, Dallas, Houston. Mike Hendrix is Vice President and Regional Manager. He has been with the company since 2002, starting with Keyston as an outside sales rep. in Denver, CO and later becoming the Ft Lauderdale, FL Branch Manager in 2008. Today, as Regional Manager, John oversees daily operations of four Keyston Branch locations, directing purchasing, inventory and customer service, as well as growing markets. John oversees the Ft Lauderdale, FL, Largo, FL, Toledo, OH, and Denver CO branches. Mike’s strong background and knowledge of the industry trade paired with his positivity and enthusiasm is utilized by many of our locations nationwide. Wendell McElveen is the Director of Supply Chain. Based in Roswell, GA, he has been with the company since 2019 and oversees all Supply Chain functions such as Procurement, Inventory Control and Optimization, Logistics, Pricing Management, and Quality Control. Prior to joining our team at Keyston Bros, Wendell has over 20 years of experience in inventory analytics in multi-location distribution networks. He also is proficient in demand planning and logistics management with heavy negotiation skills. Wendell has a masters in Organizational Leadership and a certification in Supply Chain Management. All of his past experience and studies have given him a depth of experience in inventory operations and optimization to bring best practices to Keyston Bros.
Brooke Kahn is our Senior Marketing Manager based in Roswell, GA. Prior to joining the Keyston family in 2013, she has experience managing multiple social media sites and establishing brands for multiple companies. Brooke oversees a variety of marketing projects that help build and brand all aspects of Keyston Bros and KB Contract including marketing strategy, product development, sample creation and fulfillment, and product implementation. Additionally, she leads and oversees a team of three: Graphic Designer, Marketing Coordinator and Sample and Marketing Project Manager. Debbie Bacon is Corporate Administrator based in Roswell, GA. She joined Keyston Bros in 2014 and has diverse experience in office management, executive / sales support, human resources, operations, sales and project management. She assists with human resource functions, provides executive, sales & operational support, coordinates / manages projects from initial phase to completion, and works closely with the Sr. Management team to keep lines of communication open and to ensure deadlines are met. Shane Ackerman is Branch Manager for Keyston’s Anaheim, CA branch, which includes the shipping hub for several company programs. The branch specializes in auto trim supply, with a growing clientele in both contract and marine markets. Paul Douglas is General Manager of the Dallas, TX branch and has been with the company since 2004. An 11-year veteran of the upholstery business. he oversees daily operations for Keyston Bros. including purchasing, customer service, A/R and sales, with responsibility for the east, west and north Texas markets as well as Oklahoma and Arkansas. The customer base includes automotive, marine, RV, contract, hospitality and healthcare. Zach Lawhon is leading as Branch Manager of the Denver location. The branch covers sales in Colorado, New Mexico, Nebraska, Kansas, eastern Wyoming, western South Dakota and North Dakota, and caters to the automotive, marine, contract and residential upholstery markets. Robbie Warren is the Branch Manager of the Ft. Lauderdale, Florida location. He oversees the branch with management responsibility for sales, purchasing, inventory control, pricing, A/R and new product introductions. 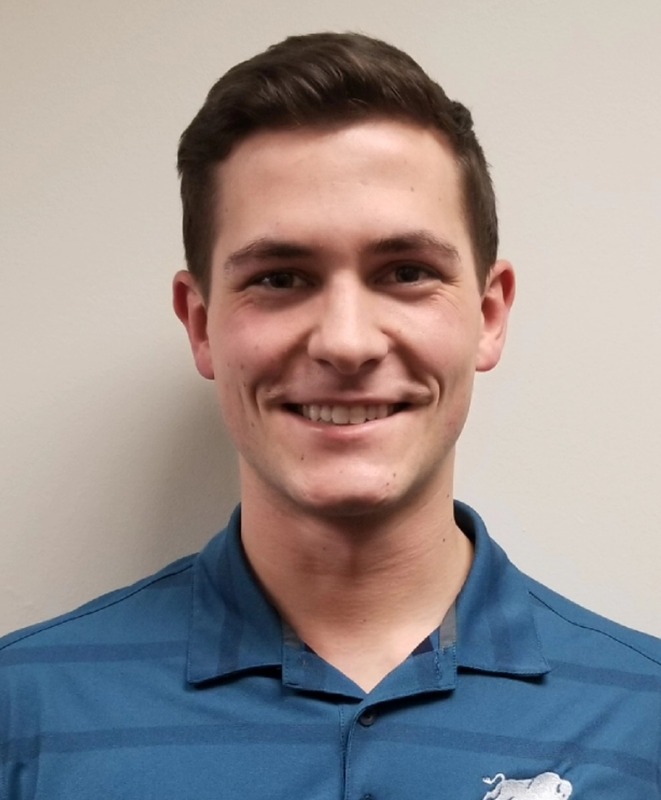 Robbie was a former sales representative who created meaningful customer relationships, grew sales in his territory, and has expansive product knowledge that will service as great assets for his role as Branch Manager. Dennis Hawkins is General Manager of the Fresno, CA office. He has been with Keyston Bros. since 1986 and began as the reciever, stocking shelves, answering phones, assisting customers, and more. After a few years, Dennis made his way up and became the head counter manager, then assisntant manager and now the general manager. The focus of Fresno is automotive, marine and furniture, with some specialty manufacturing business as well as the fabrication of polyurethane foam products. Shan Breneman is General Manager of the Houston, TX branch and oversees all daily operations including sales management and purchasing. The main focus at this facility is Automotive Trim, but the branch also caters to the marine, awning and contract markets. Houston is the 3rd location where Shan has been the GM since he started with Keyston in June of 2007 having also managed the Denver, CO and San Diego, CA locations prior to the transfer to Houston in December of 2013. Shan was awarded the Bulldog Award in while in San Diego for best year-over-year turnaround. Scott Michael is Branch Manager of our Largo, FL location. Scott supervises and coordinates our Largo operation, with branch level responsibilities including product procurement for regional distribution. This office has a strong auto aftermarket presence as well as marine, awning, commercial seating and contract business. Adrian Vargas is Branch Manager for Keyston’s Ontario, CA branch and has been with Keyston since 1984. Adrian oversees daily operations including purchasing and sales management along with customer service. The branch caters to automotive trim shops, commercial re-furbishers and furniture upholstery shops, as well as marine, canvas and trailer manufacturers. He was the recipient of the 2003 President’s Award. Julie Teller is General Manager of the Phoenix, AZ branch. She has been with Keyston Bros. since 1980 and originally worked in Seattle as credit manager prior to her promotion and transfer in 1990 to head up Phoenix operations. Julie supports, leads and trains a qualified team of sales and customer service reps, as well as warehouse personnel. She also oversees marketing and merchandising in her region. Her office covers the state of Arizona, as well as servicing casino clients in Las Vegas and Laughlin, NV. She has served three terms on Keyston’s in-house Profit Sharing Committee, as well as on the board of directors from 2001 through 2005. Jana Cole is Branch Manager of the Raleigh, NC branch which services customers throughout North Carolina, South Carolina, Virginia and surrounding areas. The branch focuses equally on both the automotive and marine markets. Jana has been with Keyston Bros. since 1998 and currently oversees all branch operations including A/R, A/P, purchasing and inventory. Tonya Padilla is Branch Manager of the Sacramento, CA warehouse, with responsibility for servicing 2000+ customers in the automotive, marine, contract and furniture markets. Tonya comes from a family of trimmers and has been in the textile and upholstery trade throughout her career. She has been with Keyston Bros. since 2002 and oversees daily operations which services customers in the automotive, marine, supplies and furniture markets. Steve Van Leeuwen is General Manager of Keyston’s Salt Lake City, UT facility. A multi-year “Manager of the Year” winner for 2007, ’08 and ’09, Steve and his team services all of Utah as well as most of Idaho, eastern Nevada, western Wyoming and western Montana. The office services clients in the automotive, contract, awning, marine and residential upholstery markets. Steve Turdici is General Manager of the San Francisco branch. He has been named “Manager of the Year” six times, with the most recent in 2017. Steve has been with Keyston Bros. since 1977 and oversees all operations in the respective metro markets served, with a focus on the furniture manufacturing market in San Francisco. John Harvey oversees Analytics and Operations on a corporate level and is also Branch Manager of Keyston’s Seattle, WA location, monitoring its operations and sales, while supporting clients throughout the Pacific Northwest including Alaska. The region provides full support of all major markets including contract furnishings, automotive, marine and awning. Jerels Dillion is Toledo's branch manager. Jerels oversees all aspects of the branch, including sales, purchasing, and monitoring the operations. Located near the Great Lakes, we have favored marine sales while selling into all textile markets including furniture, automotive and awning.